Over the last few weeks I have met with Edin Rahic and Daniel McGeachie, who has recently joined the club’s communication team, plus spoken to other people with close links to Bradford City. What follows is my attempt to present the story of what has been happening behind the scenes in a balanced, non-judgemental way. It is up to you, valued reader, to form your own opinions. When Bradford City kick off the 2018/19 season on Saturday 4 August, it will be a football club submerged in, and amendable with, the blueprint and vision of Edin Rahic. After taking over the club in May 2016, the Rahic and Stefan Rupp stamp now firmly runs through the club. Direction, approach and philosophy stem from the clear ordinance of the Bradford City chairman. Tony McMahon’s summer departure means there is no longer a single senior member of the playing squad who was at the club before Rahic and Rupp’s arrival. The coaching staff is all but transformed, save for Alan Nevison and Chris Royston. On the non-football side of things, only a handful of key positions are held by staff members who were here pre-May 2016. Commercial manager Michael Shackleton, ticket office manager Mick Lamb and media manager Mark Harrison, for example. Rupp has no day-to-day involvement in the club. He owns the majority of Bradford City and it reportedly worth over £100 million. But he has bought the club with the aim of running it as a business, not to pour in his personal fortune. Rahic has been inside the club day in day out for the past two years. The pair have agreed for Rahic to implement significant culture shifts in terms of the philosophy on and off the pitch, and in how the club operates. This has involved challenging members of staff over the way they work and how it can be improved. Some of these conversations has uncovered practices and procedures that alarmed the owners, and prompted an expectation for employees to work in a different manner. Any organisation that goes through a cultural change will have its casualties. There has been a higher than usual turnover of staff – relative to the club’s historic trends – especially over the past 12 months. Some of the people who have departed had clocked up years of service for the club – often playing a significant role behind the scenes. Clearly, some have not appreciated Edin’s hands-on style, with some airing their grievances to supporters in open or cryptic ways. Others have seemingly adapted to the change and continue to serve the club well. Meanwhile, Rahic is keen to make sure his employees have clearly defined roles, and focus solely on these. The owners are creating new roles and an organisational structure which hasn’t previously existed. The risk of this approach is that, by allowing people to leave, you won’t automatically be able to replace them with employees of equal or greater ability. That’s not meant to be a criticism or slight on anyone who has joined the club over the past two years – they may have made a hugely positive difference behind the scenes. But Bradford City, like many League One clubs, will not be high payers for non-playing staff, and have traditionally relied on employing people with a huge amount of goodwill towards the club. That kind of dedication can be difficult to find. It’s hard to teach people to care. Take the playing squad changes over the past 12 months, which included the departures of the final members of the history makers squad – a team that embodied a never-say-die attitude, and personified incredible levels of character. The January 2018 collapse strongly suggests the dressing room is no longer as strong as it used to be. Sometimes you don’t realise what you had until it has gone. It is difficult, as supporters, to gauge the impact of non-playing staff changes. Rahic is looking for professionalism and dedication in everyone he employs – to consider themselves as working for the club rather than simply working to pay off a mortgage. And therefore, to regularly go that extra mile. Another potential downside is the loss of a lot of experience. In the four years before Rahic and Rupp arrived, the club enjoyed considerable success and a collective spirit was fostered within the club and amongst supporters. The key word here is experience. When Stefan Rupp first visited Valley Parade in November 2015 as part of negotiations to buy the club, the 0-0 draw with Coventry he saw was the first time he had attended a football match. Rupp is unquestionably a hugely successful businessman, but he does not know the football industry. Rahic has a greater insight after a short spell as player (ended by injury), working as a scout and sitting on the board at Stuttgart Kickers. He has developed links with clubs like Bayern Munich and the Matter of Heart film has helped to establish new contacts around Europe. However, the pair did not buy Bradford City with first-hand experience of running a football club, never-mind a football club in a foreign country. That is not to accuse the pair of naivety. Rahic did his homework. He studied British football, and his extensive research into the 92 in England and Wales, plus Scottish clubs, lead him to conclude Bradford City suited his ideals and ambitions. He is not the Venkeys who, as the legend goes, apparently bought Premier League Blackburn Rovers without realising the club could be relegated. The plan he has developed is one he retains full conviction in, despite recent knocks. But that lack of experience does mean mistakes are inevitable, and it is worth pondering how Rahic’s background stacks up against other City chairman of the last three decades. In terms of involvement running a football club, it can be argued Rahic is the least experienced since David Simpson, who in February 1990 led a consortium that bought out Jack Tordoff. Simpson was succeeded by Geoffrey Richmond four years later, who had substantial experience running Scarborough. Julian Rhodes, whose family bought into the club in 1997, spent time learning from Richmond before events thrust him into the limelight. And even Gordon Gibb and Mark Lawn were working alongside Julian when they became chairman, and so had an experienced hand to guide them. Rahic and Rupp have isolated themselves from such first-hand expertise. Whilst Lawn and Rhodes are still regulars at Valley Parade, they are there as spectators and have no active involvement. Mason was a vital steering hand over the 2016/17 season – Rahic’s first year as chairman – especially. But his influence has been significantly reduced. It all means Rahic has limited access to guidance and exposure from people who have been there and done it. That when it comes to shaping new ideas and developing plans, there isn’t a great deal of in-house knowledge to offer opinions on whether it will work. Of course, the personnel changes can be advantageous too. The new employees – on and off the field – should have greater buy-in of Rahic’s vision and way of operating. And if everyone is pulling in the same direction, the club has a far greater chance of success. Greg Abbott is a great example of this. The head of recruitment plays a huge role here in supporting Rahic, and the pair are said to work very closely on a daily basis. Whatever you think of Rahic and Rupp’s strategy for the club, it is unconventional and different to the rest of English football. Embedding it can, and probably has, thrown up resistance and opposition, which can dilute the approach or disrupt its implementation. And if Rahic and Rupp are confident in their own ability and ideals, does it help to surround yourself with people who tell you that you might be wrong? Or is it better to have people who are on the same page, working for you to achieve it? The new head coach is a further statement of Rahic’s culture and philosophy. Whilst he and Rupp deserve credit for giving Stuart McCall the job after Phil Parkinson quit the club two years ago, it came on the back of a recommendation from Julian Rhodes. That said, Rahic was well aware of McCall’s qualities after watching him play for Rangers during a period where he lived in Glasgow. Simon Grayson’s appointment came at a time when Rahic was dealing with the supporter backlash caused by the harsh sacking of McCall. Landing the serial promotion-winner was a coup, but it was driven by short-term aims of trying to secure a play off spot. Despite his underwhelming 14-game spell in charge, Rahic held talks about keeping Grayson. If the former Leeds and Huddersfield man had stayed on, the model would be very different to what it is now. Grayson is a manager, not a head coach. So instead Michael Collins comes in to replace Grayson. And this is undoubtedly a Rahic appointment, driven by him with minimal input from others. 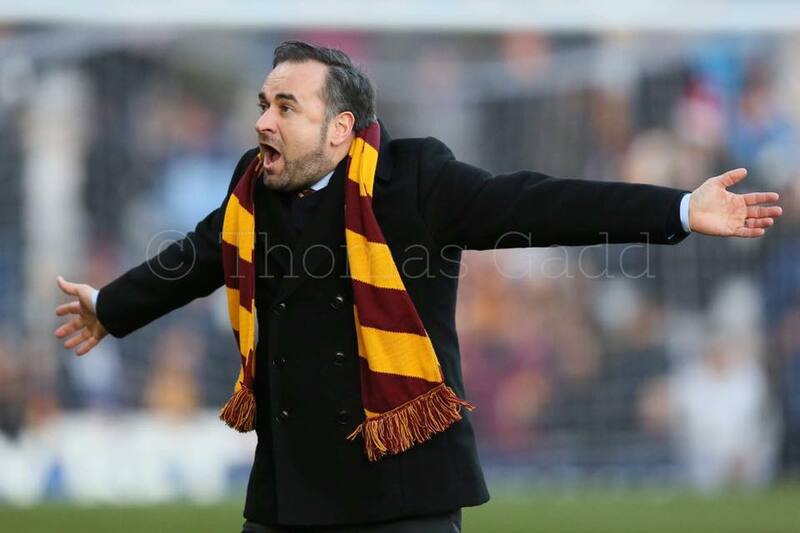 It was a long, drawn-out process – which has cast doubt over just how attractive the Bradford City position, and by implication working with Rahic, has become. But in Rahic’s defence, he had a very specific vision of what he was looking for. The head coach role is pretty much alien to Bradford City supporters, and it has made it difficult for us to truly understand what the club was looking for and the type of candidates who would fit the bill. The head coach recruitment approach automatically ruled out a number of out-of-work managers. It narrowed the search into areas that are more known within the industry than to the football public. Several people were interviewed, and – upon hearing what Rahic was looking for – ruled themselves out of contention. Finding the right candidate, who was willing to take on this specialised role, was not easy. We can but hope the long wait proves worth it. Collins’ job specification stretches beyond winning games of football. He is expected to coach and develop young players, affording them opportunities in the first team along the way. He will be judged on the level of improvement he can cultivate from the squad – even though, due to the transfer committee approach, not all the players brought in are of his choosing. If players increase in value, either in terms of what they bring to Bradford City on the field or in the profit that can be made on the transfer market, Collins is doing his job. Rahic spoke a lot to me about Sunderland, Wigan, Blackburn and Sheffield United – divisional rivals to City, whose big budgets City simply cannot match. He wants to find a way to compete with them whilst spending less. A head coach approach is his way of finding that added value. The style of football is also important. Rahic has always valued attacking football but it is more considered than that. He acknowledges that it was a mistake to lose so much character in the players the club have let go over the past two years, and that winning in a certain style, with high levels of commitment and belief, can be a template to success. It might not translate into a promotion-challenging squad next season, but if Rahic can see that something is building and a clear attack-minded philosophy is developing, the head coach will be viewed as performing well. The big challenge that Rahic and Collins will face is whether those ideals are accepted and bought into by supporters. After all, in 2016 and 2017 City finished in the play off spots and came close to promotion from League One. The expectation when Rahic and Rupp bought the club is they would have the financial resources to take the club up to the Championship. And the pair’s public comments about aiming for the Premier League do little to temper such hopes. If City are stuck in mid-table next season – or worse – will bringing through young players appease fans? History suggests not. And at that point, Collins will need the support of his chairman. If the club is struggling and fans are restless, the temptation to abandon a youthful philosophy, simply to get short-term results, will be difficult to resist. Collins takes a job where it is okay to lose football matches, providing the medium to long-term strategy is progressing. But it won’t be easy. If, in the worst case scenario, City stand 19th in League One come October, the bravery to give young players like Omari Patrick a run in the team will be severely tested. On Rahic’s part, his emotions and passion have sometimes contradicted these ideals. He partly sacked Stuart McCall for a short-term bad run of results. The Matter of Heart film features scenes where Rahic cannot hide his anger about drawing matches. He will argue that – when the team is drawing – he would rather see City go all out for a win and risk losing, rather than settle for a point. But the rumoured fallout between McCall and Rahic, after the 2016/17 Easter Monday loss to Sheffield United – a game where McCall went too gung ho – hints of a failure to live up to these values. Finally, the short Grayson era saw Rahic aim to appoint someone who is anyone but a head coach, causing mixed signals. Ultimately, Rahic has a big role to play in supporting his man through good times and bad. And in demonstrating a strong commitment to these ideals through the volatility of a football season. If the transfer approach, married with good coaching, can succeed, City genuinely could have a competitive advantage. Tyrell Robinson is on his way to being the first successful product from this strategy. If the young winger can build on his breakthrough year, his reputation and transfer value will grow, and he could be sold for a huge profit. Should the likes of Joe Riley and Jordon Gibson follow suit next season, in a couple of years’ time they could also command sizeable transfer fees. Along the way, the club would benefit from the strong performances of developing players, which should translate into success and perhaps even that elusive promotion. The key is to keep unearthing these undervalued players – there remains huge scepticism amongst supporters over Rahic’s involvement in this aspect of the strategy. But if they can get recruitment right. And if the young players are brought into a team alongside experienced heads – who can lead from the front during difficult times especially – the club has a real chance of success. Nevertheless, it is at present an unproven strategy. Can a team of Tyrell Robinsons compete with a Sunderland side built on a budget of millions? Can the club turn other clubs’ young cast offs into players who command substantial transfer fees? And do the unsuccessful purchases of Dominic Poloen and Shay McCartan give confidence that any transfer windfalls will be utilised wisely? It could work, but the brutal reality is that it has to start working quickly. The last few, difficult months have come at a heavy cost to the club. Rahic’s standing amongst fans has taken a serious hit. Thousands of fans have voted with their feet by not renewing their season tickets; others have renewed but are not convinced by the chairman’s methods. Rahic has his supporters for sure, but the whole atmosphere has become fractured. If this long-term plan takes too long to get going, the patience simply isn’t going to be there. It is not hard to envisage supporter hostility at matches. The season needs to start well. Rahic also has a duty to communicate better with fans. The club has its own media channels, the interest of local media organisations, and is attempting to build better relationships with fans media. Rahic needs to utilise them all. He cannot go into hiding, like he did in the months after sacking McCall. He has to accept he cannot control the debate. But by actively engaging with supporters, he can influence the conversation positively. When I spoke to Rahic he acknowledged this. He and the club are seeking to improve communications, with the recent Bantams Banter video interview a step in the right direction. Ultimately, we enter a critical phase in Rahic and Rupp’s reign at the club. Their ideals and approach are now fully installed in and around Valley Parade. If Collins doesn’t work out, Rahic’s judgement will come into question. If the team under-performs over the 2018/19 season, the chairman will get blamed. But that works the other way too. If Collins is successful – and if the club start to embrace the underdogs role and compete at the top – Rahic will deserve the credit. For better or worse, this is his plan. Rahic and Rupp are not going anywhere, and it has proven to be a bumpy journey to get to this point. Whether we are on the right path, and whether the pair are capable of taking the club forwards, will truly be known over the next few months. It’s a big, big season in the modern history of Bradford City Football Club – and it’s impossible to know which way it will go. The stakes are incredibly high. There are a lot of questions that are yet to be answered. Are Edin Rahic and Stefan Rupp changing Bradford City for the better? Or is the heart being ripped out of the club? We will soon find out. I don’t understand Edin… and to be honest don’t think I ever will. I haven’t renewed my season tkts and won’t. I agree with you 100%, Wayne L. As stated in previous posts, I’ve watched City for decades but haven’t renewed and won’t step foot in VP until these owners are gone. I don’t buy into those that say you have to renew “because that’s what supporters do”. These owners are dismantling everything the club stood for and Mark Neale describes so accurately the reasons why I feel no affinity for it any more. Edin Rahic reminds me of Herbert Metcalfe, whose meddling made the club a laughing stock (sound familiar?) and ultimately ended with the demise of Park Avenue. It is clear that a large number of fans are strongly anti Rahic but, by turning up, are merely countenancing his actions. Continued unchecked, we could well end up with the same fate as Avenue. It would be too late then for fans to say “we should have done something”. I guess James Mason is made of the same stuff as Wayne L, me and 5,000 other former season ticket holders…it’s called having principles and knowing when to say “enough is enough”. Yes by going and spending money on season tkts … when you don’t agree with the club’s vision and owners , in my opinion you are part of the problem. You have to make stand !! … hit the current owners in there pockets. Good analysis of the situation, as a fan it’s difficult to accept Rahic philosophy as he views the club from a business perspective with an overall aim of Return on Investment, which is fine but as a long term fan I view the Return on my investment, which is good football, progress and hopefully promotion to the next level. I will continue to support the club but only time will tell regards supporting the chairman’s decisions (although to be fair my support for his decisions doesn’t really matter). Well put. I’m concerned he (they) are more concerned that their “project” makes them more money out of developing youngsters, and swelling their investment, rather than putting it back into making a stronger team. I almost feel they are not bothered about higher status as they know they will have to spend more, and will be happy to cash in any jems we may uncover in League 1 (or lower!). I don’t trust them one bit. You sum it up correctly and fairly. I shall certainly watch City next season, and have renewed my season tickets. I truly do not know whether Rahic is correct in his approach or not. I do know that, in my near 70 years of supporting City , we have never really been very good. A few false dawns, usually ended by lack of money, the Richmond era, when unsustainable debt and kamikase risk-taking nearly put us out of business. The Parkinson near-success, built on team spirit and physical and mental toughness. The third coming of McCall , when the brief success ended when the team unaccountably fell to pieces, and, in my view at least, seemed to stop trying. As you say, Rahic has now got the personnel off the field which he wants, and the result will be his, one way or another. I do suspect that Michael Collins was not the first choice, but the fact remains that he has got the job. So, because I support City I support him. Remember Rahic and Rupp own the club, it is Rahic’s fortune that is on the line. If City fail, he fails. I don’t. None of the condemners and slaggers-off put their own money up. I support City, therefore I support Rahic. I ask genuine supporters——support City. Finally, yesterday, there was a tweet from someone who told Rahic to leave in a u-boat. This is a disgraceful comment, racist, insulting and hurtful not just to Rahic but to any decent person. Wayne L – its a free country so the choice is yours, if the current period of uncertainty is enough to stop you watching (supporting?) City then we are probably better off without you. I don’t buy this attitude of you support your club…no matter what . Tim, with regards to your response to Wayne L. I live 3,000 miles away and I’m a “non- believer” in Rahic’s vision and since I don’t attend games in person would you consider me to be a non-supporter? I don’t think Wayne L suggested distance was his reason for stopping watching City, if it is then fair enough, distance is clearly a barrier. Only time will tell but interestingly, given the manager/head coach tends to be the lightening rod for all manner of abuse, Edin seems to have taken this mantle! Out of interest, why was Abbott not selected as Head Coach with Drury & Collins his assistants? This is the only thing I cannot fathom! Really ? The only thing ?? If you are asking whether I’m surprised at these appointments then the answer is “No”. It looks relatively straightforward, several applicants who were interviewed and Edin felt none of them could work within his structure. I suspect a fair few walked before progressing any further! Manager’s are a relatively close knit bunch. Whether meeting at an LMA shindig or FA course, it will have got around about Edin’s style. In fact, not sure on the true number of applications, I would not be surprised if the majority of the bookies faves were put off following Macca’s treatment & Grayson’s critique! A thought provoking article, which aptly sums up where we are as a club at this time. The coming season will undoubtedly be key to gaining back the confidence of the many doubting fans. I like the fact that we are giving a young ambitious British coach an opportunity to test his skills at this level rather than making an appointment from the usual ‘sacked managers merry-go-round’. Whether you agree or not with the chairman I believe we should all now get behind the team and the new gaffer and give them the support they are going to need to have a successful season. I’ve renewed my season ticket, but if we perform worse than last season i won’t be going again. Rack and Ruin own the club but it’s the supporters who are the life and soul of the club. If we vote with our feet, then they will lose money and will be forced to change their direction or maybe sell up. I hope to be proved wrong but i doubt i will be. I am honestly dreading next season. A well balanced and thoughtful article. Thanks. I feel the relationship within the dressing room is arguably the most important of all. I hope and trust the new coaching team can mould a team that acts as one unit. The whole is greater than the individual parts. Jason, from what you’ve seen, do you think relationships between the new coaching team and the retained players are built on sufficiently sound foundations for the “team spirit” to win through? Shrewsbury were an example to all last year! Great stuff Jason! And a very commendable balance to the piece in the currently ‘fractious’ climate. I don’t always like the way Rahic has gone about things, and for me he has got an awful lot wrong in his first two years at the club (the contradictions he creates between preaching long-term patience whilst at times demanding short-time results, for example), but as John W says above – at least there is a clear plan, a vision, on which to judge him. I ask this as a genuine question, because I do not know, but is this right? It’s got me wondering. 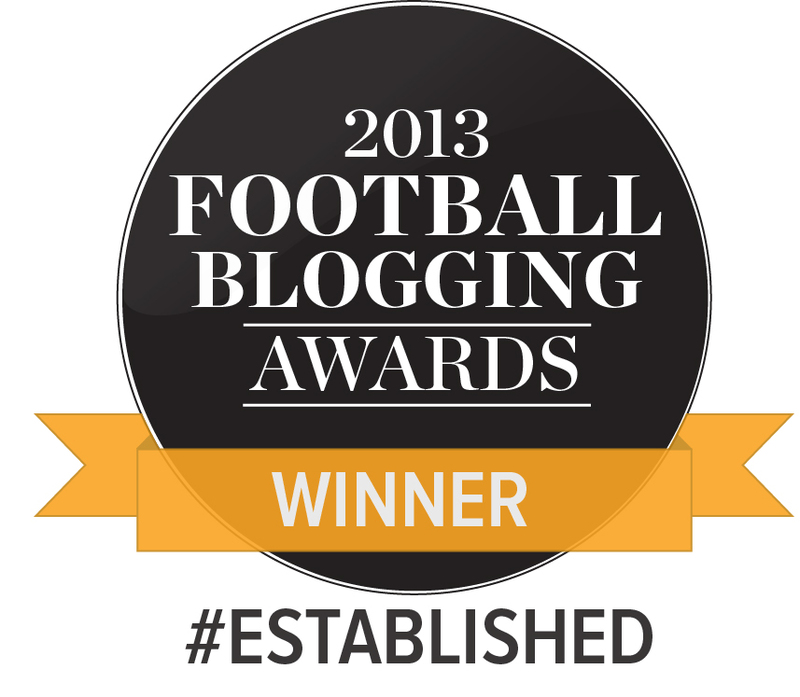 Is it different to the rest of English football, or just different for Bradford City? A layman’s impression of much of the football pyramid these days might be somewhat insufficiently divided into a simple dichotomy: ‘the Corporates’ and ‘the Communities’. Most of the teams in the PL and Champ fitting the former model; most of the L1 and L2 clubs being the latter. I do wonder if part of the ‘culture shock’ that we are now going through is far less to do with Rahic “destroying our club” and more to do with him implementing a transition from City being a “Communities” club (i.e. run by regional businessmen, largely on the back of goodwill from local staff) to being genuinely ready to join the ranks of the “Corporates”, i.e. to sustain ourselves as a Champ club. We know Rahic sees bridging that burgeoning gulf between L1 and Champ as being the key dividing line, given the exorbitant parachute payments play such a significant role, and so his ‘shock and awe’ approach towards the until-now ‘Communities’ fabric of the club is intended to develop a “v.BradfordCity” of the ‘Corporates’ model, which he sees as more professional, efficient and capable of joining (and staying amongst) the top tiers of English football. And so I wonder if this transition to a more ‘Corporates’ model, and so a perceived loss of the ‘Communities’ way of doing things, is what is currently hurting so many fans who feel ‘the heart’ is being lost from the club (because in very tangible ways, it is… the club really is changing), especially given the unique strength of bond between fans and club for obvious reasons. In originally welcoming Rahic and Rupp to the club, were we prepared for these changes? Did we assume they would just continue the ‘Communities’ model, but give it more investment (which Lawn/Rhodes had said they couldn’t)? Were we not ready for wholesale changes to be made with new ownership? It does seem that a lot of people still get really annoyed when an owner / investor wants to have a say in that organisation’s direction. I know “football club’s are different”, but not too many of them above us in the pyramid still are. Is this what we’re struggling with? A kind of identity-crisis? To be clear, I am not saying this is Rahic’s view (how the hell would I know? ), or whether it would be right or wrong to pursue this ‘Corporates’ model for the club (time will tell if his vision works), but I do wonder how many PL and Champ clubs are run in the ‘Communities’ way that City have been in the last few decades? As you say Jason, Rahic and Rupp are here to stay so maybe we have to let them be judged on their own terms. I’m neither for or against the owners, I’m just trying to understand what is happening. 2018/19 is a massive season ahead, and I’m looking forward to supporting the club through it. Brentford MK II is what I think they wish to achieve. A very interesting analysis, Mark D.
the transition from ‘community’ to ‘corporate’ with a commensurate budget. models you outline which, I imagine, will please no one. Yeah I think that’s a very fair point Will. I did see someone on Twitter (Chris Hilton, from memory) raise the issue of resources saying that – because this new model simply has to work now it’s been entirely constructed by Edin, and so his reputation is more fully on the line – he may now invest far more heavily in the squad to try to ensure it works (and so, by curious logic, to prove himself right)? In other words, now Edin has “skin in the game” (as the economists would describe it) will we see the investment needed to underwrite that transition? Time will tell, but as it stands you’re quite right that a ‘v.budget Corporate’ approach pleases nobody and carries significant risks. I guess my broader point was also about the growing divisions amongst fans, and whether retaining a desire to be a local ‘Communities’ club whilst being sustainable in the Championship are complementary ambitions, or antagonistic? Can we have both? And crucially – if not – which would we rather sacrifice: our recent ‘Communities’ model or sustainable Championship football? Again, these are just questions rather than judgements / preferences. But I wonder if we should have faced the implications of pursuing either strategy when the ‘Rahic vision’ was first being put forward? Unfortunately I don’t think we will be a club that is all together for a long time to come. I don’t think Rahic is a bad person or has an agenda, I just think he is out of his depth and he needs someone to pull him back in. The thing that really annoys me with him is that he says one thing and does another completely different thing. I am not happy or annoyed at our new coaching team because giving untried coaches/managers a chance can work look at Eddie Howe or Lee Johnson and to some extent Karl Robinson. Im just glad we don’t have one of the usual suspects who manages a club then gets sacked after 6 months and within a month are in another job. Wayne. For me you have encapsulated the one thing that is Rahics biggest fault and ultimately will be his downfall. Jason also alludes to this in his article. We have had the talk of getting to the Premiership and keeping tickets at £1, which was all very nice to hear but totally impractical. We had post Wembley Rupp talking of going for the automatic promotion places last term and of course Rahics promise to back Stuart if the team were in a play off position at the turn of the year. There has been sabre rattling comments about the ‘high profile candidates’ lining up for the managers/coaches job. We now hear that Collins ’emerged as a favourite over the weekend’. I am sorry but it’s now very difficult to believe a word that comes out of this man’s mouth. Any credibility disappeared months ago. Ironic that we were told to ‘believe’ by Rahic! I am a City fan of over 52 seasons and those that know me will I hope agree that I have worked tirelessly for a club I love since 1985 up to three years ago. I have renewed my season ticket mainly because it’s cheap and retains my seat but it was only after much thought. I live in the North East now and it’s easy not to go to games, although I still do so. Many other long terms fans whom I know have not renewed after much thought and anguish, whilst some like me have done so, but with some reluctance. Those fans will take some winning back. In my experience going to football can be an habit and once you stop, it will take a lot to get those fans back. Obviously Rahic is unaware of these factors, or he does not care. His comments in the recent Dom and Tom interview were an eye opener. An horrible tasteless and totally disrespectful thing to say to supporters. So I welcome the appointment of MC, but I am acutely aware of the way he has been thrust into the in. I will not however offer my support or respect to Rahic until he starts to respect the supporters. It’s very much a two way thing and the fans will still be here long after the next change of ownership. Very well put Mark . Next season is my 40th supporting City. I now live in Sussex so don’t get to many games but always retain my season ticket. Partly because it keeps my seat (which has many memories for me) and partly because i fell like by doing so I am helping the club plan for future seasons. I thought very long and hard before doing so for this year. Well said Mark, it is the total lack of trust I now have in Rahic that means I cannot believe anything he says. He has alienated so many people with his arrogant views – I wish we were in a position to show him where the door is but we are stuck with him for the forseeable. We will still support City long after he has departed but I find it soul destroying that fans I know well, who have followed City around the country for years and years, are feeling so detached and disheartened by what is going on at OUR club that they may stop going. Good luck to the new ‘coaching’ team but deep down we all know what a farce this process has been and it is predominantly to fit the purpose and control of one man. Anyway, mini rant over – now the decision has been made its time to chill and enjoy the World Cup until the dreaded 18/19 season begins! When a much respected fan like Mark makes such damning comments about the club he loves, you know there is something very badly wrong at VP. 100%agree. Mixed messages from the start. It’s clear that this is a matter of finance not heart. R&R are here to make money. They don’t own the ground. The only value is developing and selling on players. It’s clear that their short term investments are again to make money. So far in doing so they’ve got rid of 3 managers one the most successful in our history a club legend and another with a previously strong track record to appoint an unknown who didn’t apply and wasn’t a contender after 7 weeks of searching until the weekend. Based on previous experience of mixed messages the destruction above and the fact that our city supporting chief exec has walked without another job lined up all points to instability coming from above. Mixed messages. Chopping and changing of priorities. Edin may be a visionary moving city ahead of the curve and the opposition. Or he may be so blinkered that he is unable to see the damage he is inflicting. Unfortunately many have already made their minds up and when long standing supporters walk away you can be sure you had better have got it right because if you haven’t there will be no come backs with this section of our support. I was on the fence. I renewed under #believe. Based on events if I was making that choice now I would make a different decision. Unless this flys next season ST numbers will be decimated further until the owners leave. I will be one of that number. I’m perplexed. Why does ER and his supporters, think his way of managing a football team is new? As long as I have watched sport in Bradford, close on 75 years, the professional clubs have operated the ER way. As a youngster, I burst into tears when Len Shackleton (age 24) was sold. Shack was followed out of the door by Johnnie Downie (24) and Geoff Walker (20). The procession continued with Kevin Hector (22) “Bronco” Layne (23), Derek Hawksworth (23), Stuart McCall (24), Nahki Wells (24) and, of course, Ollie McBurnie (19) slipped away. What Good Has It Done Any Of The Clubs? Now all I can do is shake my head sadly and continue to support City. Week after week my disappointment is acute, but hope springs eternal, and I’ll follow again and again … because that’s what we diehards do. The problem is that for every Wells there is a McClean. Unfortunately signing young players remains what it is. Potential. Not every one will work and if it does work then Rahic will look at them as saleable. All very good in some ways it the key is then replacing the sold player as presumably he has become a vital part of the team. History shows this is hard to do. We have never replaced Wells for instance. If it was as easy as Rahic thinks then surely more teams would be doing it. Football needs to change, gone are the Chairman with wads of cash who buy their way through the divisions only to fail when they get to the top table. An example is Aston Villa, relying on the parachute payments to get out of the Championship last season, Sunderland are another, sure the parachute payments will get them out of this division, hell we may as well hand over the title to them now. After reading this article it explains that the Chairman are trying to build a sustainable system to ensure the survival of the club while trying to compete. There are only two important divisions in English football theses days, the Premier League and Championship, the rest is where either the odd star is found or a place for old has beens to make some money before they retire. They’ve already ripped the heart out of the club. They’re now invested in a miracle and we all know how common they are. What is their next plan when we do find ourselves 19th in October? I echo the comments made about Rahic’s mixed messages and arrogance and I also resent the speed by which he has chosen to personify Bradford City and assert that his ideas are “in the club’s DNA”. The thing that irritates me the most is; in spite of the indisputable comments that are made at the very start of this article – about Rahic’s relevant experience (almost none) – Edin has made himself Director of Football, def facto Head of Recruitment, CFO, CEO and Chairman and he has driven away all of the experienced football people he’s come into contact with in the meantime. What we are left with now is a man who is demonstrably unprepared to listen to ideas that don’t match his own and who has control over every matter at the club. This maybe a matter of heart for him and I am sure it is his dream, but it was not the dream of Bradford City fans (doing pretty nicely under the previous custodians) to be taken over by an arrogant, over-zealous micromanager, with too much time on his hands and crucially, no money. Would his credentials stand up to be appointed Director of football / head of recruitment at any professional football on merit? Not a chance. The model that he preaches needs a real director of football, a proper head of recruitment and investment. Unfortunately all we have is Edin and a smaller budget than we had under Lawn and Rhodes. It’s for these kind of reasons I think people are hugely disappointed with where the club has gone in the couple of years he’s been around and it’s only blind faith that has a portion of the fans behind him. He has done precious little in my view to warrant that faith and I will be amazed if his now absolute power is going to be a good thing for this football club. Succinctly, and superbly, put. This is cold-stone reality that those with rose-tinted spectacles — the ones who insist we must blindly back this experiment, the ones who want to believe that this collective greenness is worth the risk — fail to see. There were all sorts of unfounded reasons rumoured when Phil Parkinson jumped ship shortly after these owners took over. I found it hard to understand at the time. It turned out to be a very astute decision. In similar context, perhaps you can understand why long standing supporters are now quitting. It goes deeper than not liking the owners. I can’t put it in any clearer terms than to say Edin Rahic is despised by many fans. I can never recall such a level of hatred towards a Bradford City owner, during their period if ownership. A lot of fans turned on Geoffrey Richmond AFTER he left. To have withheld support for the club after he’d gone would have been pointless. ‪ER & SR are clearly in this to make money. Rupp owns 80% of #bcafc and he had never been to a match before he was persuaded to buy our football club. How was he persuaded to buy? He clearly hadn’t any interest in football so it can only be to make money. They are investors and like all investors want a return on their investment. They have looked at the two ways of making money out of a football club, promotion or selling players. ‬They aren’t going to invest any more money to fund a promotion push. Rahic has said we can’t compete financially with clubs coming down from the championship so their only other option to make money is to ‘develop’ cheap players with the aim of selling them on at a profit ie a dividend return on their investment. I don’t think promotion is now an ambition at all for the owners/investors! 1) if the head coach doesn’t work out its going to be very hard to find a replacement, as many decent candidates will give us a wide berth. Word gets around in this business. A well written article again however……the biggest test of thus model and something neither Rahic or his supporters tell us us how selling your best players, which I’d their intention, aids promotion and staying up (which is documented by Rahic as one of his reasons for doing so)? Even Jason alludes to this promotion tactic but doesn’t say how it works. Surrey logic dictates that if you sell your assets then ultimately you end up with a team of players no one wants to buy? Also many teams are looking for these players but more muses are found than hits. Apart from Wyke and Robinson who could currently demand a fee? And how much did they cost to assemble? Shay for instance is worth less than paid for imo. We gave never found another Nahki Wells did that was a few years ago now. Also we were already making money on young players sold to premier clubs whilst also competing and progressing steadily. I just cannot see how the system will work to make us more competitive. Is the money made reinvested in more young players? Or more quality? Or st all? Thus for me the biggest test of the method will be when and IF we actually find a sellable asset and how this is reinvested. No one is answering thus crucial part of everything Rahic is saying and attempting to justify hus approach with. given the current model of club ownership, where the “fit and proper persons” is a joke there’s not a whole lot fans can do. All we have are regrets that Lawn and Rhodes might have hesitated before signing on the dotted line. A lot of the options mentioned, such as a boycott, haven’t worked at clubs like Blackburn, Coventry and Charlton, where the owners have carried on and done their own thing anyway. For any such campaign to be successful, it’s either everyone out, or not at all, and the thread of comments above illustrates how split on this, as with other issues, we are. Other measures whispered about on message boards are usually a) illegal, and b) likely to get us all tarred with the same brush as anyone directly responsible – unlike some people I do believe Rahic has received, and will continue to receive threats, and I also believe his account of his son being bullied at school. I don’t know about you, but I want no part of that. However, there is one option still on the table that would make them listen to us, but it might be a long haul and it won’t be cheap (but money is the bottom line with football nowadays); the fans start a campaign to raise funds to buy Valley Parade from Gordon Gibb (see, I told you it wouldn’t be cheap), then we lease it back to the club, with them paying a peppercorn rent, in return for certain conditions. That way, the club actually benefit, as more of their income can go into the team rather than paying for the roof over their heads. And that, to me, is a potential means by which the fans can influence the direction the club goes, at the moment, I think it’s the only one. I reiterate, it will be expensive, but I believe if we can do it it will be worth it. An owner/CEO/CEO/Director of Football with zero experience of the English game. And now a head coach with zero managerial experience at adult level. What could possibly go wrong? It’s like we’re all locked into some nightmare episode of Jim’ll Fix It. Why did he choose Bradford City to implement his model? A club with a loyal and expectant fan base, so close to success, didn’t need to be ripped apart and a ‘clever’ system implemented. Buy a Rochdale or a Walsall and fans would be more inclined to get on board. Rahic is taking us backwards in the hope that the club can move forward in a number of years. That might be great in other forms of business but football isn’t like that, fans won’t be happy finishing 15th but selling a Nahki Wells every year. That’s not progress in our eyes. The bloke is using our club (OUR club not his) as a play thing, it’s heartbreaking to witness. I can only hope he’ll soon get bored when he realises his ‘genius’ idea doesn’t work and someone with business AND football knowledge takes over the running of the club. Unfortunately none of the owners’ actions pass the smell test. The January transfer window, Stuart’s sacking, the Grayson interlude, James Mason’s departure and then this. They all just don’t smell right, and as supporters you’ve left trying to optimistically apply logic retrospectively to what the owners have done. I haven’t doubted that the owners have good intentions until now, but they are now showing all the hallmarks of the disastrous owners of other clubs. It’s little wonder Rahic doesn’t communicate properly with the fans, because every time he opens his mouth he says things that just don’t make sense. We’re trying to apply logic to actions that have none. The latest set of missives are among the most weird. Try and explain these actions as if they fit into a coherent or strategic approach. He sacks Head Coach McCall because promotion is important and he doesn’t want us to drop out of the playoffs. Appoints a Manager in Grayson with a track record for promotion. Then enters into negotiations to extend the stay of old school Manager Grayson, which breaks down. Starts looking for a Head Coach because that is what he now wants. Says he’s interviewed good candidates, has a final two. Weeks pass and we then end up appointing a part-time youth coach – who was already here – who didn’t even apply for the job and became a strong candidate ‘over the weekend’. Then says that promotion isn’t the be-all-and-end-all. Tell that to Stuart! The only logical conclusions you can draw is that either Collins was his plan all along or no one with more experience/a track record would touch the job under the conditions it was being offered. The strong club ethos he talks about needing is what he inherited and – by his actions – damaged. My own personal view – and I have no evidence for this – is that when they say they are running Bradford City as a business, that’s exactly what they mean. Buy a reasonably sized league club for a few of million, put yourself on the payroll. Concentrate on developing players and hope you can take advantage of the ridiculous amounts of money at the top of the game. Uncover, get lucky or develop a couple of players and hope you can cash in on them. I see Jack Marriott at Peterborough is being talked about for £6.5m. When Championship players are going for £20m (James Maddison) then it’s just madness. All we need is to find a Marriott or a Maddison and the owners have doubled/tripled their outlay. Rinse and repeat. This would help increase the value of their investment if reinvested in the club, or can be withdrawn as dividends. And to make this work, all they have to do is keep the supporters on side, and despite a lot of unhappy fans, their only success so fair is managing to reduce the expectations of the fanbase without too much pain. If the fans aren’t expectant then you have the time to develop and profit from players. I hear ‘we can’t compete with Sunderland a lot, as if fans are demanding that. I don’t think anyone is asking us to compete with Sunderland financially. There is only one Sunderland in our division next year, stop citing them – we should be able to compete with the other 8-10 teams that are fighting to get in the top 6 next year. Make or break for Rahic and Rupp this season. No more excuses now, you’ve got exactly what you wanted. Success this season is everyone pulling the same direction, with progress on the pitch. Bring some stability and shows signs of your approach reflecting positively on the pitch, or find someone else who can. If the wheels come off then shoulder responsibility. Success or failure is now yours to carry. Yes, this can’t compete with Sunderland, Blackburn, etc because of their budgets is not true. Look how close we have come to getting promoted in recent seasons. An extra two or three wins throughout the season would have seen us in the Championship. Often, and so frustratingly, those two or 3 games were forfeited to teams much lower than us in the league. OK, once you are in the Championship then that may be a different matter. as the grandiose(or not) strategies behind the scenes. but why did it take so long to get that one through?) at best. I hope my pessimism is ill-founded.